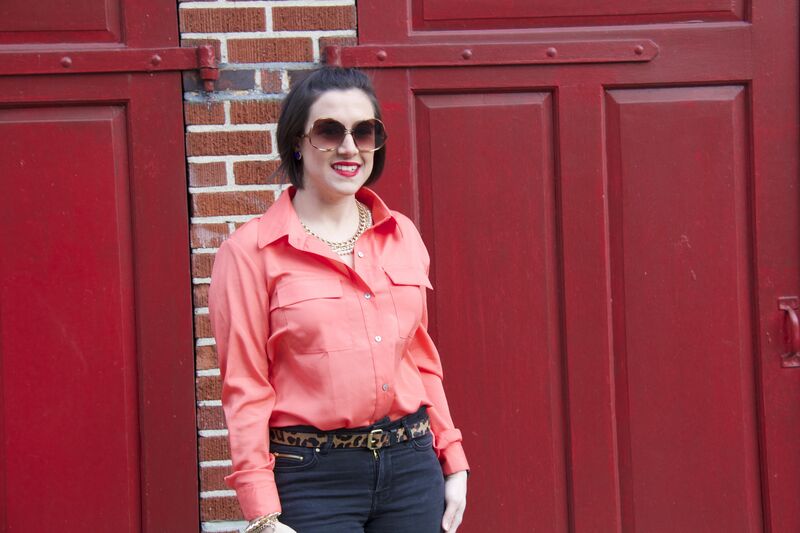 Here is the first outfit post for my Flair Accessories series. 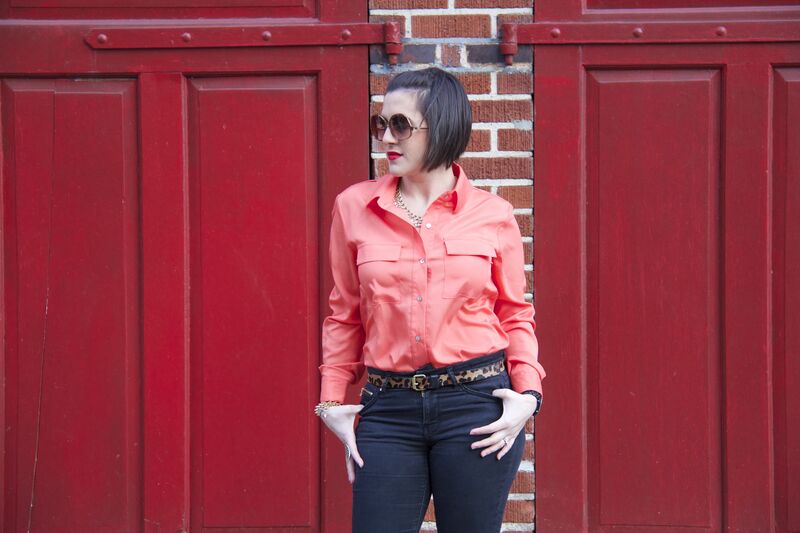 I started off with a simple business casual look — colored button down, black denim skinny jeans, black pumps. Simple right? What brings this look to the next level is the accessories. 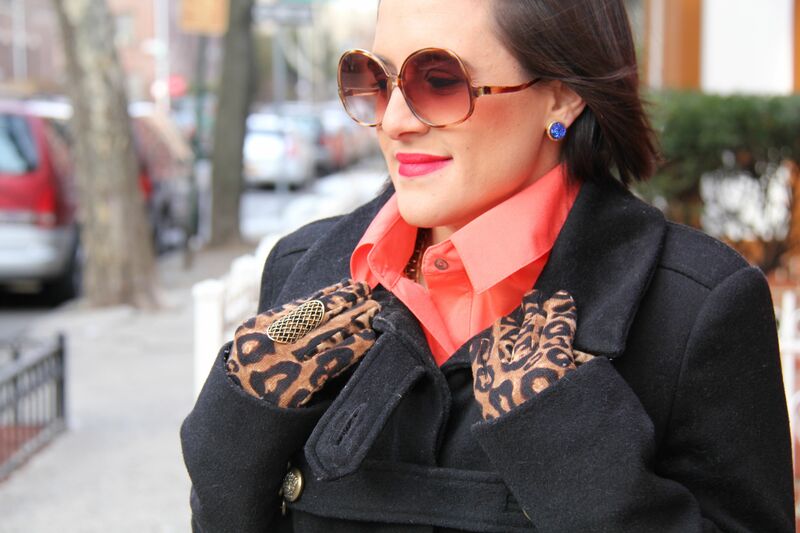 A little leopard print belt and gloves take this look up a notch as well as the vintage sunglasses. 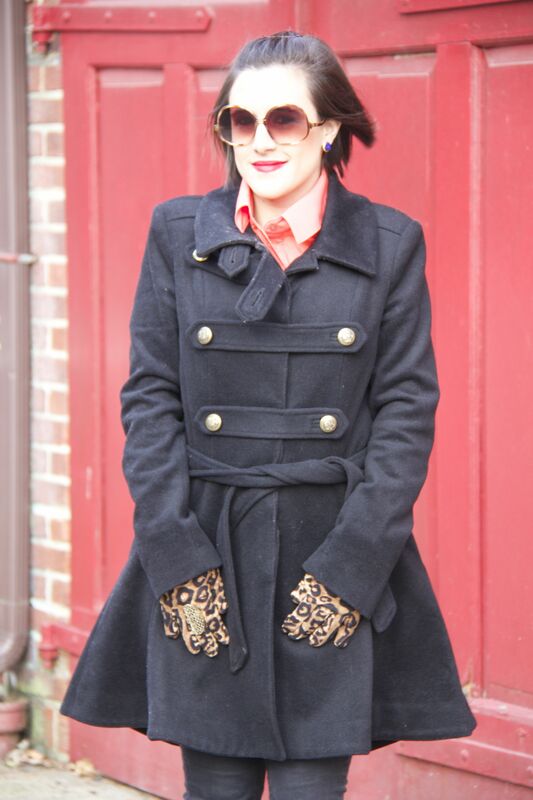 And lastly, the fabulous flair that was added to complete the look. Take note of the purple pop to my ears and the chain bling around my neck. I also added this fun cage style ring. Without the accessories, the look would honestly be quite boring in my opinion. Accessorizing is a key element to my getting ready process and can turn a look from “nice” to “amaze” in a matter of seconds. 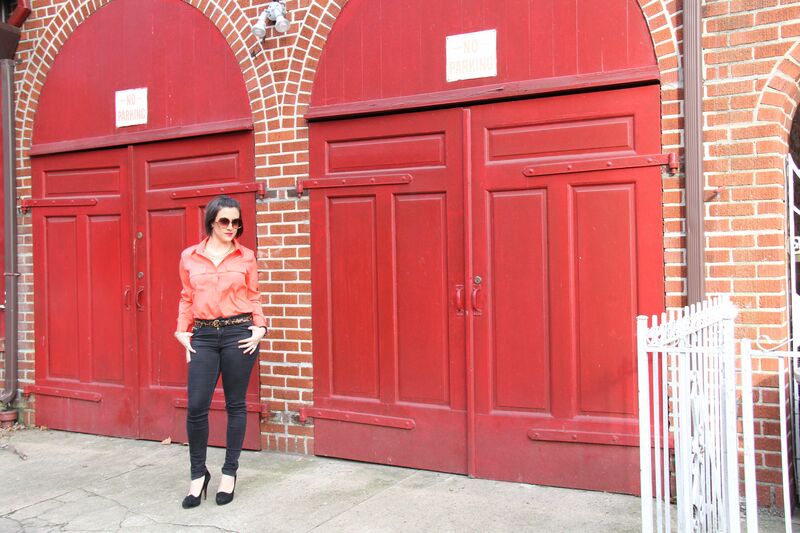 Definitely check out Carly’s amazing store online. I guarantee you will find a piece of flair you adore! It’s a busy week here with work conferences, clients in town, movie nights, meetings, photography class, photography homework, etc. Hopefully I can find some time to fit some sleep in there. Right now I’m just whirling on through. I saw Argo over the weekend and Beasts of the Southern Wild last night, which are two more Oscar nominated films to check off my list. Both were absolutely amazing. Beasts was especially impressive coming from a first time director, and that little girl was such an amazing actress. I would recommend both films though! In other news, how was everyone’s Super Bowl? I really didn’t have a team to rally behind (since my beloved Redskins did not make it), but being from Maryland, I must say I have a lot of happy friends this week!